Playing Australian word association with tourists results in shouts of, "Vegemite!" and "Chris Hemsworth!" and this 'Straya Day in Melbourne, you can eat at least one of them. 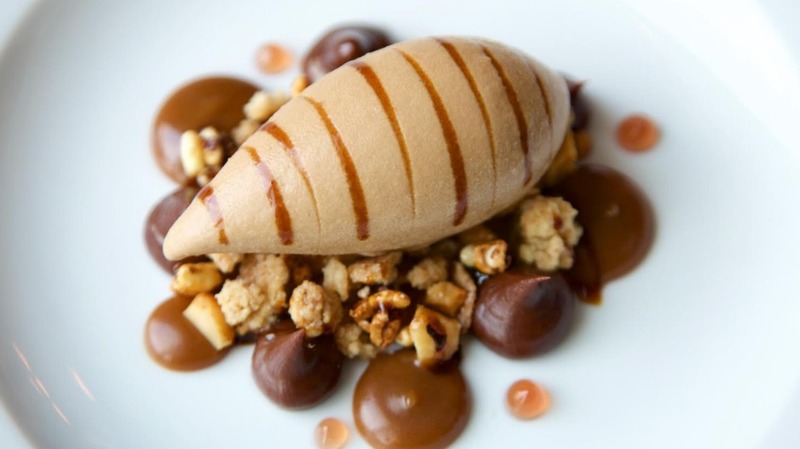 Group executive chef Ashley Palmer-Watts is dipping into the Vegemite jar and emerging with ice-cream as part of an Australia Day lunch at Dinner by Heston, although it will be added to the menu permanently from the end of the month. In Windsor, Small Print Pizza will serve nostalgic cheese and Vegemite pizzas from Thursday to Sunday alongside a Tim Tam, Milo and Caramello Koala option. They're called pimientos de Padron in Spain, but at Mercado in Sydney they're "Russian roulette peppers". One in 10 of these green tapa snacks are as hot as a seat at Hubert. 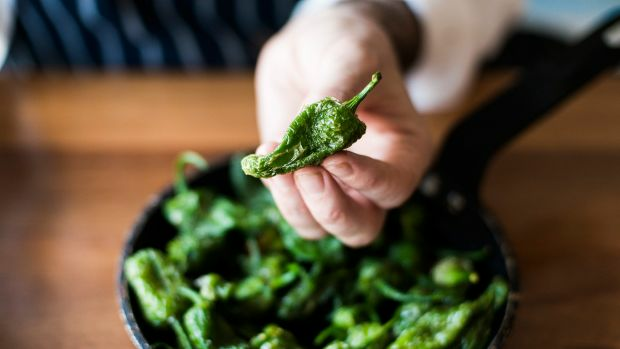 In Melbourne you can try them at Cumulus Inc. and Movida, but Queensland-based Midyim Eco sells them to the East Coast for $35 a kilogram (120 to 140 peppers). To serve, fry in olive oil until blistered and sprinkle with Himalayan rock salt. Order via midyimeco@gmail.com until around May. Native bush tucker can be difficult to come by, but this social enterprise has made kakadu plums accessible in powder form, dehydrated and milled by Aboriginal people in the Kimberly region. The native superfood has one of the highest concentrations of vitamin C of any plant – up to 100 times more than oranges. Add it to smoothies, shakes, yoghurt, brekkie bowls and salads, or cook with it in protein balls, muesli bars and jams. kakaduplumco.com. 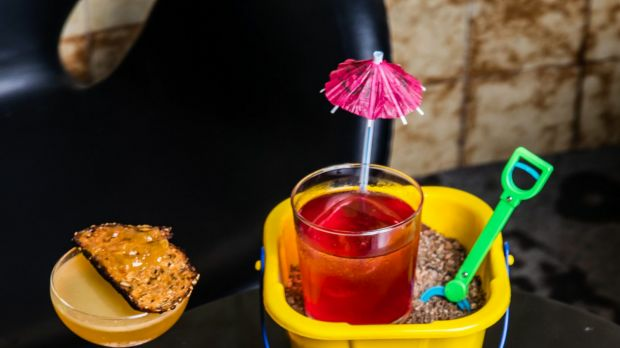 Down an inconspicuous alley in Wellington, New Zealand, the Fix & Fogg team has turned peanut butter into art with the release of their latest creation: fruit toast peanut butter. They've taken their popular super crunchy and mixed it with organic apple, Ceylon cinnamon and diamond muscat raisins from the Murray-Darling Basin and it's available in Melbourne from Smith & Deli and Coffee Supreme, in Sydney at Coco Wealth of Health or online at rtc-food.myshopify.com. Food is a statement, and what better way to pledge your allegiance to appetite than through kooky jewellery. Designer Kelly Eident started selling pieces on Etsy in 2007, but since then has landed in boutiques everywhere from her home in Rhode Island to Tokyo. 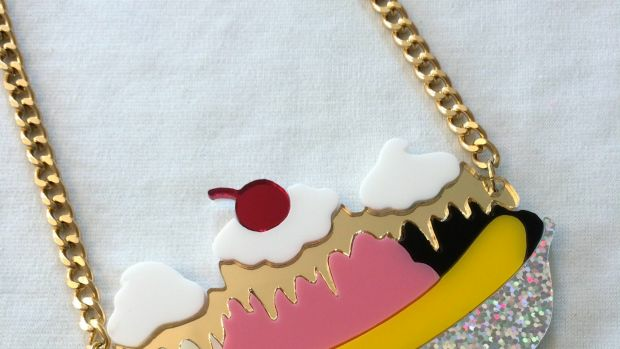 Our favourites are the mirrored sushi pins, oversized pizza necklace and glitter-dipped ice-cream cones. For those interested, it's also Katy Perry-approved. imyourpresent.com. Not to be confused with Anthony Bourdain's cookbook, Appetites, Appetite is a novel set in Florence in the 15th century. As a former restaurant owner and passionate cook, Kazan describes food in the most beautiful, revelational way as he follows protagonist Nino Latini, who tastes things others cannot. Latini's creativity with ingredients and sensitivity to flavours present as many troubles as they do opportunities. Reviews have (rightly) drawn parallels between Appetites and Patrick Suskind's Perfume. From 6pm on Australia Day, Clare Bar at Sydney's Old Clare Hotel is putting on a shindig with Australian-inspired cocktails. There's Good Morning Australia with earl grey-infused Tanqueray gin, Cointreau, fresh lemon and marmalade; Pearl Gimlet with Tanqueray gin, house pearl finger lime cordial and fresh lime juice; and our favourite – the oh so 'grammable Sand Box served in a bucket with Johnny Walker Black, Antiqua Formula, Salerno blood orange liqueur and fresh blood orange juice. When Native Americans were forced to relocate from Arizona to New Mexico, they struggled to grow traditional staples. To avoid starvation, the government sent supplies including flour, sugar and lard – and frybread was born. Today, frybread fits loosely into the category of any dough cooked through frying. If three's a trend, we're counting Pontoon's version in St. Kilda served on a board with condiments; the salami and stracciatella number at Fitzroy's Bar Liberty (and Drinkwell out back), technically cooked on a flat grill; and the Italian iteration, pane fritto ("fried bread"), that has appeared on the rotating menu at Sydney's Wilmer during the past couple of weeks with tomato and anchovy.